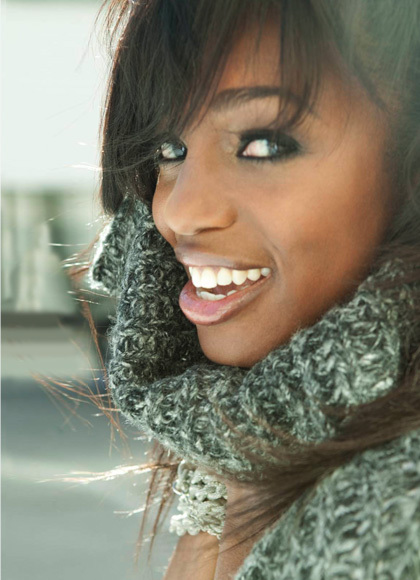 With over 45 television roles to her credit, Enuka Okuma is best known to audiences as Traci Nash, the tough rookie cop with street smarts and a secret past, on ABC’s hit summer series, Rookie Blue. A three time Gemini nominee (Canada’s equivalent to the emmy), this accomplished actress won the distinguished Artistic Merit Award from Women In Film Vancouver in 1999, which is an award given to the one female performer whose work is of high artistic merit at the Vancouver International Film Festival. Enuka has had guest appearances on a variety of hit shows including Grey’s Anatomy, Medium, and 24, and has shared the big screen with many of Hollywood’s elite including Tommy Lee Jones (Double Jeopardy) Ben Affleck (Reindeer Games), and Jon Hamm (Stolen). Soon, Enuka will be seen along side Tom Hanks and Julia Roberts in the upcoming feature film Larry Crowne, written and directed by Tom Hanks. Taking her cue from fellow actors who have gone on to direct, Enuka wrote, directed and produced the short film Cookie in 2011. The film stars Jennifer Finnigan (ABC’s Better With You, Close to Home) and Jonathan Silverman (Weekend at Bernies).